The Third Place Resin Award is a great way to recognize one of your top competitors. This trophy features a full color holographic insert featuring a large "3rd" placed above an achievement torch. 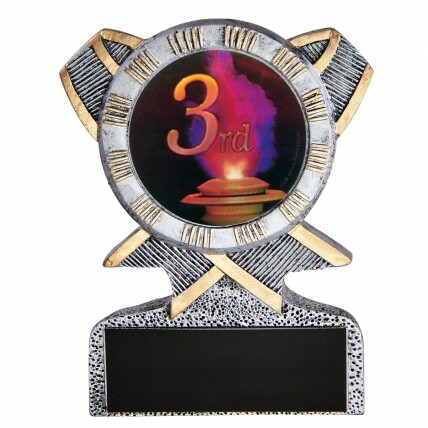 With its gold highlights this little trophy is the perfect award for your talented third place finisher. This award is also available in first and second place versions.